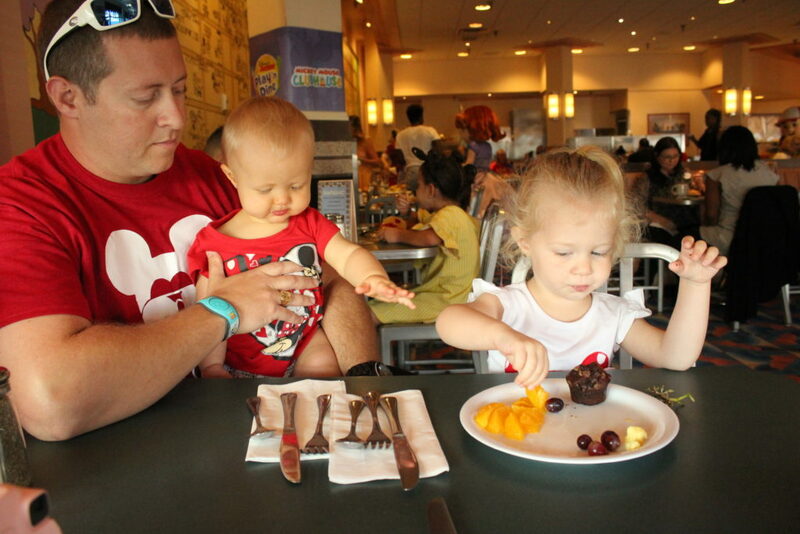 The Disney Junior breakfast at Hollywood Studios is perfect for preschool age kids. 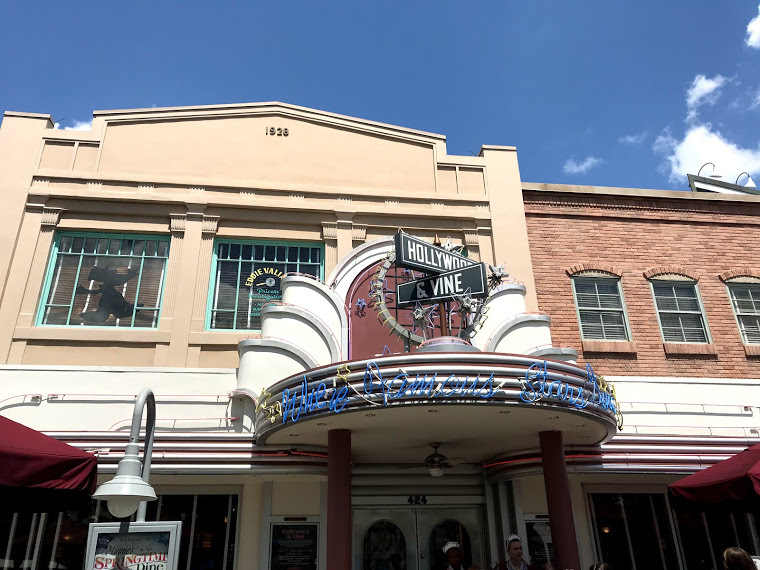 If you’re planning a trip to Walt Disney World, be sure to make a reservation early. Thank you to Disney for sponsoring our vacation. 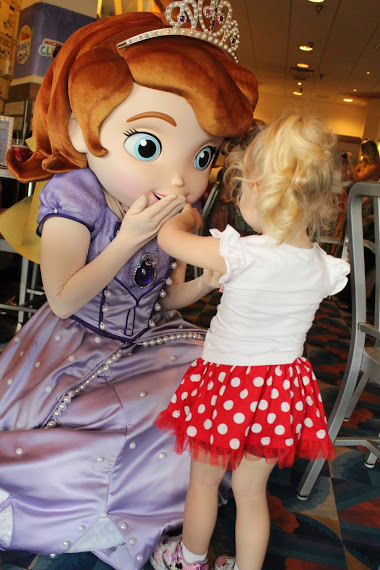 Located at Hollywood & Vine, the Disney Junior Play ‘n Dine Breakfast includes delicious food and all your child’s favorite characters. We met Doc McStuffins, Jake the Pirate, Sophia the First and Handy Manny. Each character stopped by our table for one-on-one interaction, photos and signing autographs. The buffet was full of comfort breakfast food including eggs, bacon, fresh fruit, waffles, bagels, and tons more. 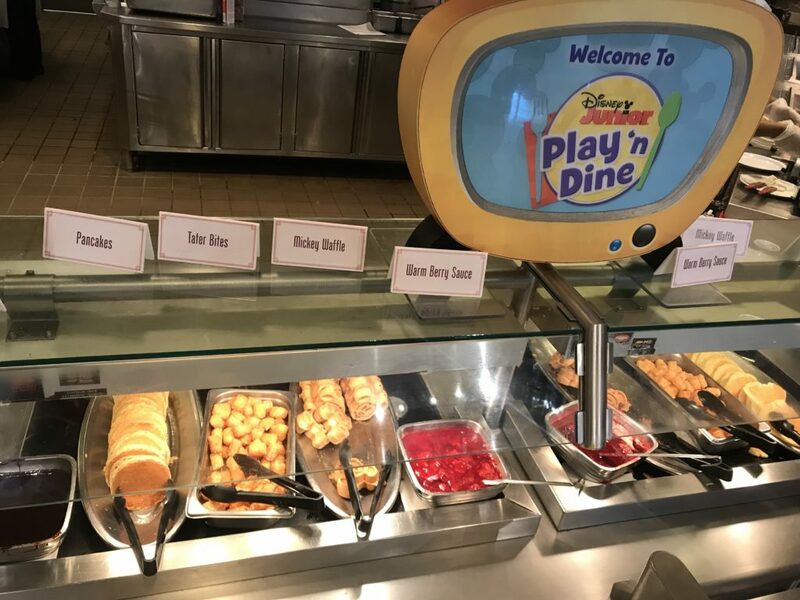 They even had a child size buffet so my daughter could serve herself. AND they had ice cream. Every kid’s dream. I loved that it was all you can eat. We made sure to fill up in preparation for a busy day at Disney. 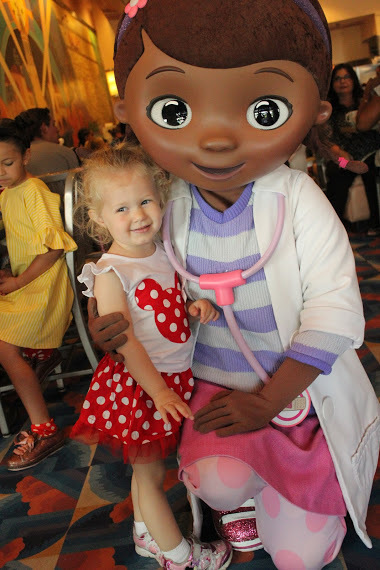 My daughter loves Disney Junior, especially Doc McStuffins and Sophia the First. 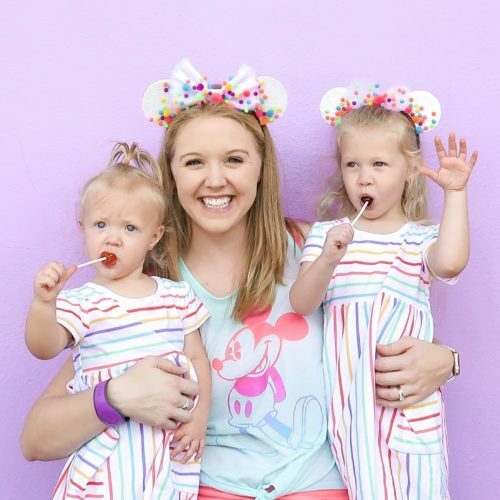 This dining experience gave us the opportunity to meet her favorites in a low-key, relaxed setting. 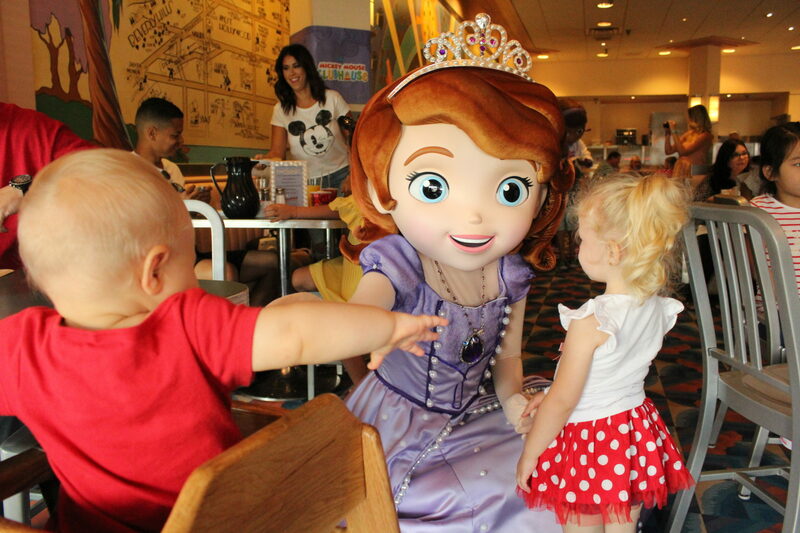 The characters travel around the dining room stopping by each table for photos and autographs. There is not a PhotoPass photographer however. This is true of most character dining options. I highly recommend bringing your own camera to capture these precious memories.